Being in business isn’t all about the rewards but it is nice to be recognised for hard work and endeavour. Roderick Insurance Brokers have been in business for almost 30 years – a fair effort for a family run, local owned and operated business. The ship has been steered by Keith Roderick, whose ethic of hard work and exceptional client service has been recognised in many awards over the past few years. Please contact us to find out more about our services, including business insurance brokers and personal insurance coverage. 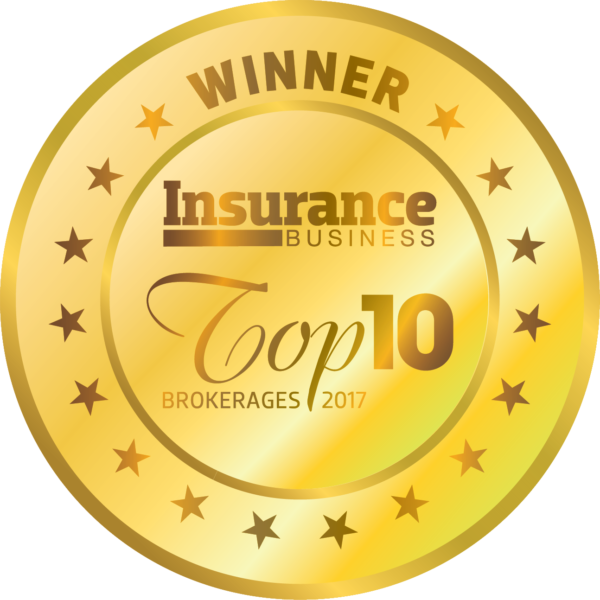 We are very proud to be named in Insurance Business Top 10 Brokers in Australia. We are extremely pleased to be inducted into the Geelong Business Excellence Awards Hall of Fame. 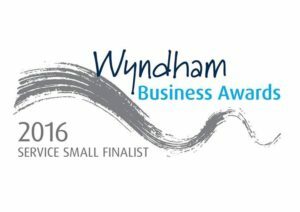 We are excited to have the Werribee office of Roderick Insurance Brokers named as a Finalist in the Wyndham Business Awards for 2016. We were extremely pleased to be named as Finalists in our first entry to the Wyndham Business Awards in 2014. In July 2014 we were notified that Roderick Insurance Brokers were Finalists in the Medium Broker of the Year in the Australian and New Zealand Institute of Insurance and Finance (ANZIIF) Awards. At a gala function at The Pier Geelong, we took out the Hardings Commercial Services Category in the Powercor Geelong Business Excellence Awards. We also were Finalists in the Business of the Year. Read the Geelong Advertiser 2014 Powercor Geelong Business Awards article. In June 2014 Roderick Insurance Brokers were selected as a Finalist in two categories of the Telstra Victorian Business Awards, for Medium Business and Regional Business. In February 2014 we were happily suprised to find we had been nominated for the Telstra Australian Business Awards. This is Australia’s premier business award program and we’d like to thank everyone for their support. In August 2013, we travelled to Sydney for a gala evening for the Australian Insurance Industry Awards in which we were awarded the Medium Broker of the Year. This was a amazing achievement for us, and one Keith Roderick is very proud of. Read about how Keith attributed the win to the Roderick Insurance Brokers’ staff. Roderick Insurance Brokers were announced the Winner of the Medium Business category at the 2013 Powercor Geelong Business Excellence Awards. 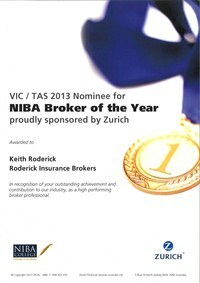 Keith Roderick was nominated in the 2013 National Insurance Brokers Association Broker of the Year and was awarded as a Finalist. This was recognition for contribution to the Insurance industry and the community for nearly 50 years. 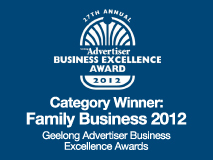 In 2012 we were recognised in the Geelong Advertiser Business Excellence Awards for the Family Business category. Read about how thrilled we were to win this award on our first entry. 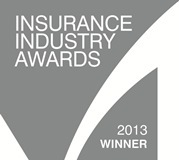 In 2012 we were named in the Top 10 Insurance Brokerages in Insurance Business Online, ranked at number three. Take a look at how we ranked in the top 10.